Good Morning to all of you out there. We thought we would start our day at Gravity Espresso & Wine Bar in Inglewood. This is quite a cool place, rustic with an industrial flair. Gravity also offers live music on the weekends. On May 26th they are having a singer/songwriter showcase and on June 9th and 30th. I think it would be really cool to come down here and enjoy the nightlife at Gravity and support the local talent while enjoying a glass of wine/coffee and a cheese plate. Our drinks and food just arrived at our table. We ordered the following: a Hot Chocolate, a Dolce and a Chia Tea Latte. All drinks were excellent, I originally ordered the Vanilla Latte but unfortunately they had run out of vanilla syrup, no biggie. No big deal, I went with the Dolce and it is excellent. Now on to the food, we ordered a cheese bun, a back bacon & apple panni and a yogurt parfait. The panni is a great choice. The parfait was also really good and served in a mason jar, cool touch. On a side note I Gravity also offers a loyalty program, buy 9 drinks and get the tenth free. Analog Coffee, 17th Ave SW, Corner Location, Clive Burger, in Mount Royal Village. Walking in and seeing a full house just ensures that there are supporters of a small little coffee shop. There was not a single open table in the whole place. People working on laptops, having a Saturday morning conversations, eating breakfast, and seeing their lovely designs in the hand-crafted drinks. The barista was very helpful when ordering our drinks. The beverage barista was super energetic and seemed to really love what he does. He made sure that everyone left with a smile. 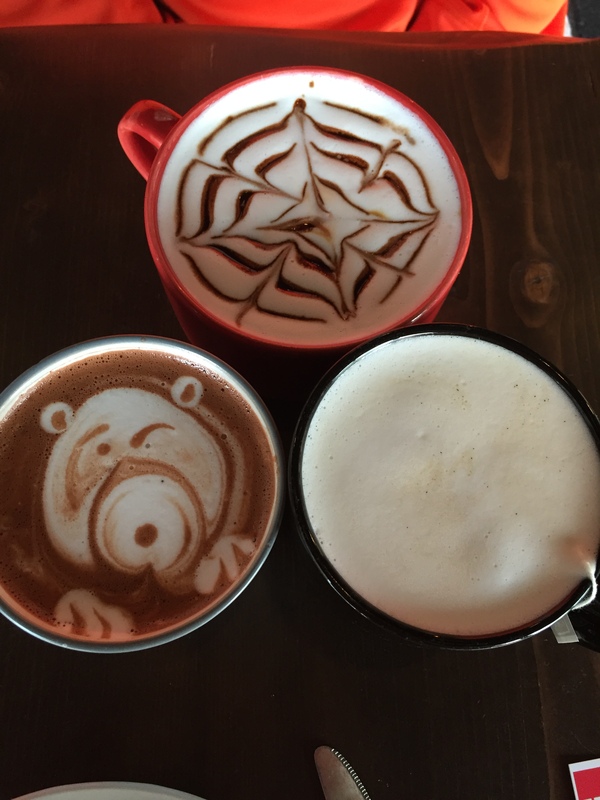 Our drinks were made beautifully with hand-crafted hearts on the top. We ordered two Vanilla Lattés with extra shots and a Chai Tea Latte. Just to give a small insight, it was so busy that we actually had to sit outside on not a particular nice day in Calgary. This is a coffee shop that you can enjoy even if you’re not a hipster, you could be a baby boomer, a millennial, or even a lumberjack. Yesterday I visited one of my favourite local coffee shops, Euphoria Café in Varsity. Arriving at the café you could clearly see it was very busy. It’s always great to see people supporting local coffee shops. Walking in there was very few open tables. 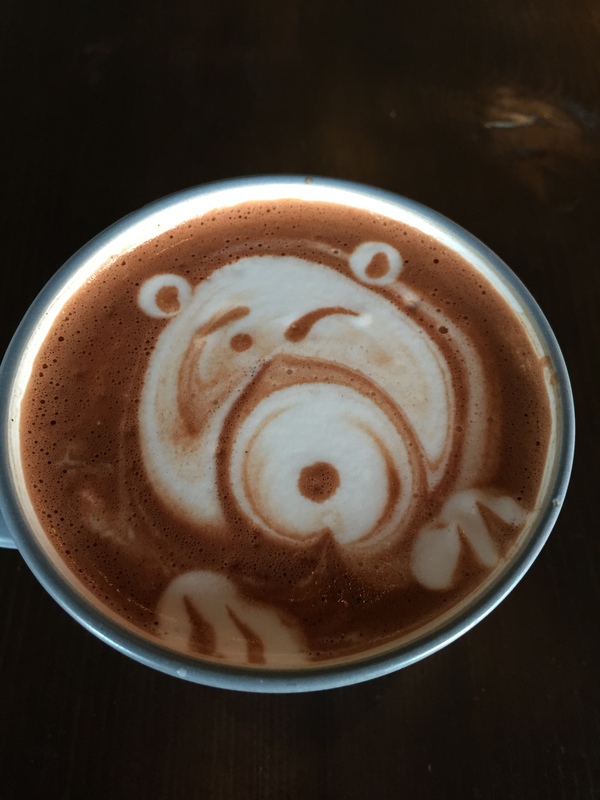 The barista was very friendly and answered all questions we threw at her… we asked if they still had previous menu options from the Hot Chocolate festival a few months back. To our excitement they still could make it for us. Our order arrived shortly after we ordered. The beverages were beautiful and tasted amazing. We decided to try their Belgian waffles that they had on menu, Copa Banana, White Chocolate Berry, and the Classic Belgian waffle… all were absolutely delicious. The atmosphere was very relaxing and inviting. The was a group of men talking like old hen’s session, a couple ladies catching up, a young couple out on a morning coffee date, and firefighters stopping in for a quick cup of joe. Here is some information about me and what this blog is about. I love coffee; I love coffee shops even more. This blog will be dedicated to talking about the amazing coffee shops and the people I meet along the way. I have been to so many coffee shops in the past and I don’t know why I haven’t thought of starting a blog sooner. There’s no time like the present. This site will be full of posts about some of the coffee shops that I have visited, images, facts, and other visual stuff about coffee. I started to like coffee about 10 years ago and now I am always on the hunt for the latest and greatest coffees and coffee shops. I didn’t start making my own handcrafted drinks until 2012 and that is when my coffee bar started to get new additions. Now I have everything you would need to run a mini coffee shop out of my kitchen, but I still like going to find unique coffee shops. I am interested in working out, Tough Mudder, vintage records, Scrabble and travelling back and forth to Vancouver with my wife to see my two kids. This blog will provide content that is approachable to the novice coffee enthusiast yet still interesting for the coffee connoisseur. There might not be something for everybody in each post but I will try and cover a wide range of topics. There might be occasionally off topic post just to keep things interesting. I find coffee so interesting because everyone has some connection to it, it’s a daily comfort for many people. Honestly, what is better than enjoying a coffee in the morning on your patio or sitting by a window in your favourite coffee shop with a cup on a rainy day? A question I could ask everyone; how much do you know about the coffee you are consuming? Not many people know what goes into making their favourite coffee beverages. They just roll through their Starbucks or Tim Horton’s drive-thru every morning or throw some water on the grounds in their coffee maker at home or work. Consume and repeat. There isn’t much thought put into it. Coffee is interesting, complex, captivating, and really trendy. It’s more than a Monday morning coping mechanism.